At the end of July, Massachusetts lawmakers approved short-term rental regulations that include registration, tax collection, and a state-wide public registry of licensed rentals. The senate approved the bill in a 30 – 8 vote, and the house approved the bill in a 119 – 30 vote. Governor Charlie Baker returned the bill to the legislature on August 1 with two proposed amendments. One amendment is to exempt homeowners who rent their units for fewer than 14 days a year. “This change would exempt those who participate in this new industry only occasionally, while allowing the extension of fair tax treatment to the growing short-term rental sector as it competes with hotel and motel businesses,” he wrote in his letter to the legislature. He also requested limiting the information available in the new registry to only the street name and the city or town where the property is located to protect residents’ personally identifiable information. Paul Sacco, president and CEO of the Massachusetts Lodging Association, wrote in a letter to the editor on NorthEndWaterfront.com on August 10 that “members of the Massachusetts Lodging Association were disappointed that Governor Baker chose not to sign a reasonable and thoughtful bill passed by the legislature that would have brought some sanity to the short-term rental industry,” and they hope the differences could be resolved. Baker returned his amendments after the formal session had ended. Now, the legislature can either call a formal session to vote on the proposed amendments, let the bill die, or hold an informal session. In informal sessions, a single objection can stop the bill from advancing. Senator Michael Rodrigues and Representative Aaron Michlewitz, the bill’s committee chairs in each chamber, did not respond to VRM Intel at the time of publication. NorthEndWaterfront.com reported that in the North End/Waterfront Residents Association meeting last Thursday, Michlewitz said he said he thinks negotiation with the governor on the amendments is the most likely next step. With or without the governor’s amendments, if the bill is approved, short-term rental operators will be required to register with the state and pay state excise tax in addition to local taxes and fees. Addresses of licensed properties will be listed in a public, searchable online registry. Owner information and tax records will be kept confidential. 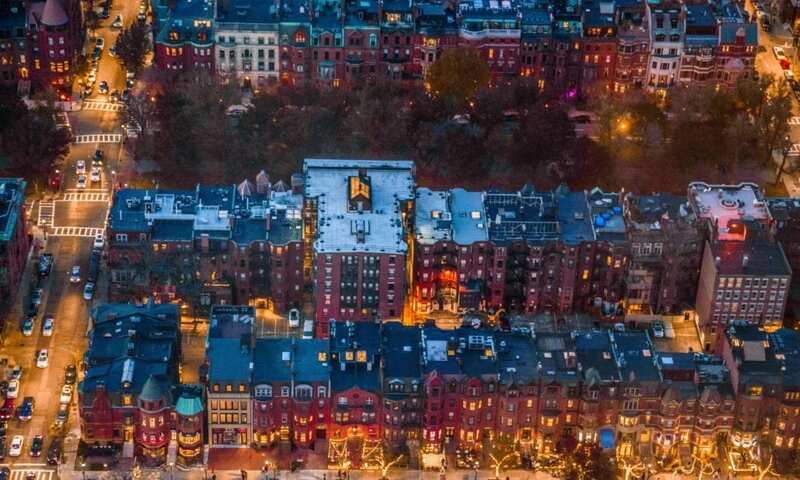 The bill includes a 5 percent state excise tax on all short-term rentals and allows municipalities to impose a local excise tax of up to 6 percent (Boston may impose up to 6.5 percent). Cities that impose the optional local excise tax must direct at least 35 percent of revenues from the tax toward affordable housing or local infrastructure projects. The bill also establishes the Cape Cod and Islands Water Protection Fund to support water pollution abatement projects in Barnstable, Dukes, and Nantucket counties, home to popular Massachusetts tourist destinations including Martha’s Vineyard, Cape Cod, and Nantucket. Other cities and towns can vote to join the fund. Municipalities in the water protection fund will impose an additional excise tax of 2.75 percent on short-term rentals, from which all revenues will be directed to the fund. In Boston and some surrounding towns, there is already a 2.75 percent tax on all hotel rooms to fund the Boston Convention and Exhibition Center. Under the new regulations, this tax would also be applied to short-term rentals. According to a recently passed ordinance in Boston, starting January 1, 2019, the city will limit short-term rentals to a private bedroom in a primary residence in which the owner or operator is present during the rental, a whole-home rental in which the owner or operator resides for at least nine months out of a 12-month period, and a single unit in an owner-occupied two- or three-family building. Registration and other regulations will also apply. If Boston joined the water protection fund and opted to impose the maximum 6.5 percent local tax, total taxes on short-term rentals in the state could reach up to 17 percent. The legislature estimates that the taxes could generate $25 million in revenue for the state and $25 million in local revenue. The bill allows the commissioner to require hosting platforms, including Airbnb and HomeAway, and intermediaries including property managers to supply reports on revenues and taxes collected. Short-term rental operators must also carry a minimum $1 million in liability insurance on each rental unless the hosting platform through which the rental was facilitated offers the same or better insurance. If the governor had signed the bill as is, the regulations would have gone into effect on January 1, 2019, with rental contracts entered into starting November 1, 2018. It is unclear if this schedule will be followed if the amended bill is approved by the legislature.